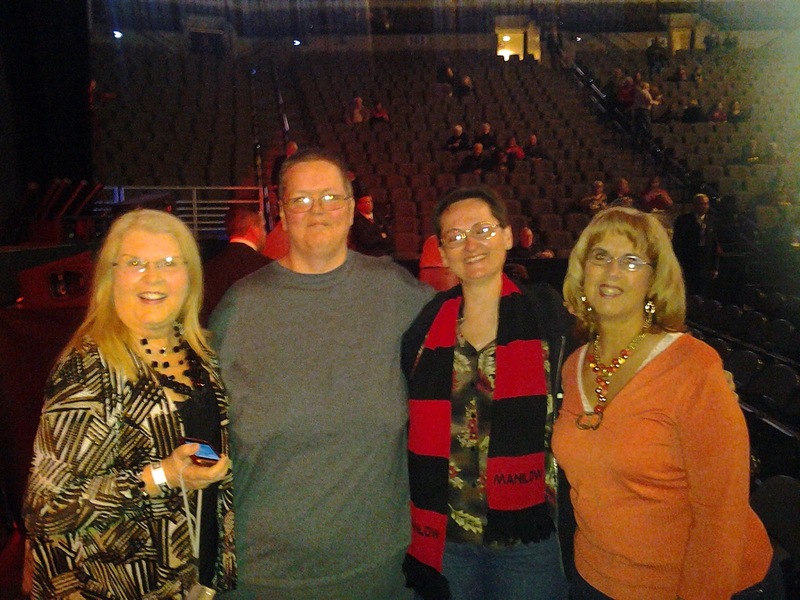 Barry Manilow World Tour Kick Off In Omaha! I sat dead center of the stage in the front row and had an amazing time. I know I was holding my breath as the lights went down and the music started and the curtain came up because there was a little uncertainty as to how he would be as just a week ago he posted to his Facebook page that, while he had permission from his doctors and physical therapists to do the show last night, and the shows the next two nights in St. Louis, he was only about 85% post surgery (he had surgery on both of his hips two months ago to repair bursa and re-attach muscles torn completely away from his hips). 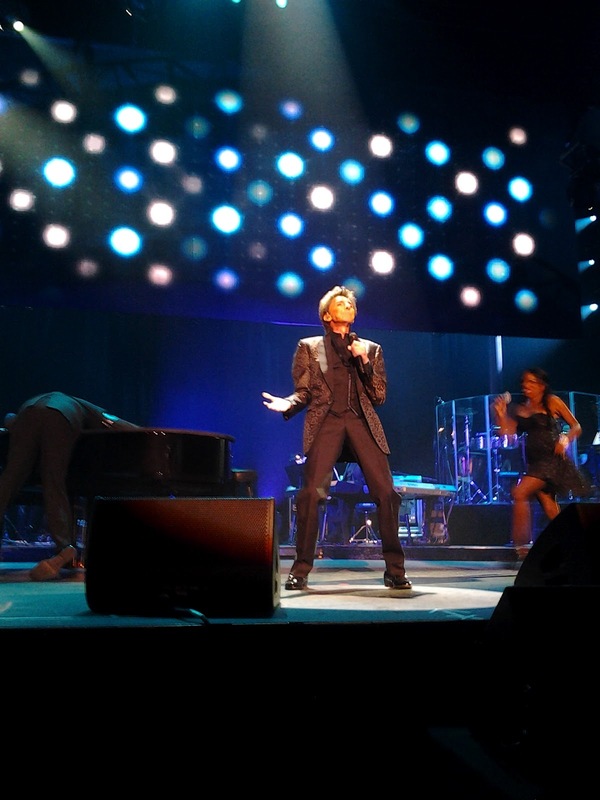 He came out on that stage bouncing and dancing to It’s A Miracle and went at full throttle the rest of the show. If that was only 85%,,, he’s gonna be absolutely killing people when he hits 100%! But… he did! A BAM! And the crowd went absolutely nuts! It was awesome! The above photo was one of the better shots I took, what few I could take before my damned battery died! It was about a second or two post-BAM and you can see Kye Brackett “passed out” across Barry’s piano and Sharon “Muffy” Hendrix running to his aid. It was a very funny moment and proved to the fans, well, this one for sure, that there was nothing to fear. Barry was fine and was set on having a good time with his “friends” in Omaha! First and foremost, just that he was there and in such obviously great spirits. He appeared to be having just as much fun as we were having in the audience! When he spoke of his surgery and recovery… Finding a higher power, greater than himself that got him through all the pain he had to endure… and what that higher power was, LOL! Being cooped up in bed and sooo bored! Then he got serious, thanked his fans for their hundreds of cards, letters and Facebook comments that were so encouraging and helped pull him through and then he sang I Made It Through the Rain and you couldn’t help but believe that he meant every single word. 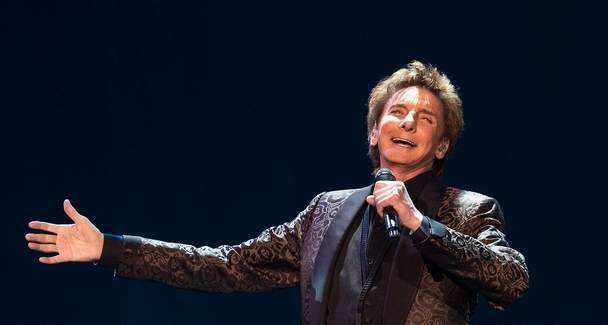 It got him one of several standing ovations last night. When talking about All The Time and feeling like a misfit, he said that he really didn’t have it as bad when he was in school as kids do today, emphasizing that “all the bullying now is just too much. It’s gotta stop”. There were a couple of miscues and an occasional lyric fumble, but it was the opening show and I am sure as time goes on and a few more performances pass by, the very few rough spots will be smoothed out. Barry, being the professional that he is, managed to get through those few moments with style and humor. Absolutely nothing from 15 Minutes except “Everything’s Gonna Be Alright” being played over the sound system as the audience milled out of the arena. And, honestly, it wasn’t even a real disappointment. The show, as it was, was so great that the realization of any of that album being missing from the show was an after thought. All I can say, ultimately, of it all is… Well done, Barry,,, and welcome back! Special thanks, also, to Kye Brackett, Sharon “Muffy” Hendrix, Ron Walters, Jr., Ron Pedley, Joey Melotti, David Rozenblatt, Russ McKinnon, Mike Lent and… damn, I can’t remember the bassist’s name at the moment. 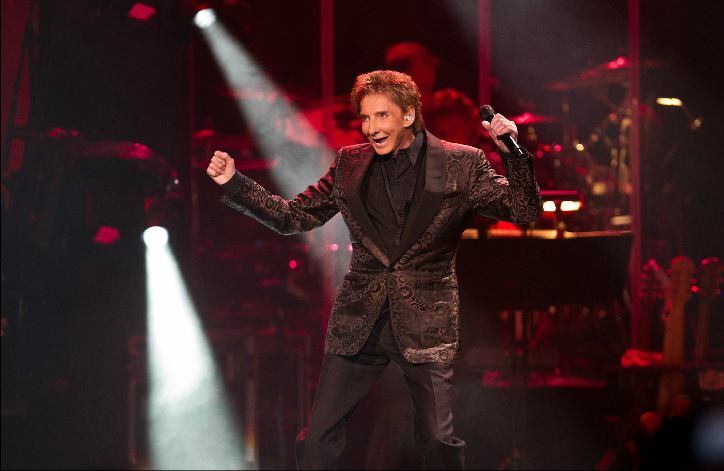 As great as Barry Manilow is, he can’t do it all on his own. The professionalism and talent of these men and woman are so great, though, they all make it seem like he does just that. Their performances, so seamless and perfect, work to bring out the best in Barry’s performance and spotlight their own unique abilities as well. It was as much fun and entertaining to step back and watch all of them as it was to watch Barry. Extra special thanks to Dawn Downes, without whom I could not have been at that concert last night. And the seat was sooooo fabulous. Front row, dead center! I was close enough to see the twinkle in those beautiful baby blues and I will never forget it. Thank you, also, to my new friend and chief Kleenex supplier (I confess, I cried… A LOT), Lynn Driscoll. Just for being there, for being so sweet to a complete stranger, and for sharing the great photos she had from the show. 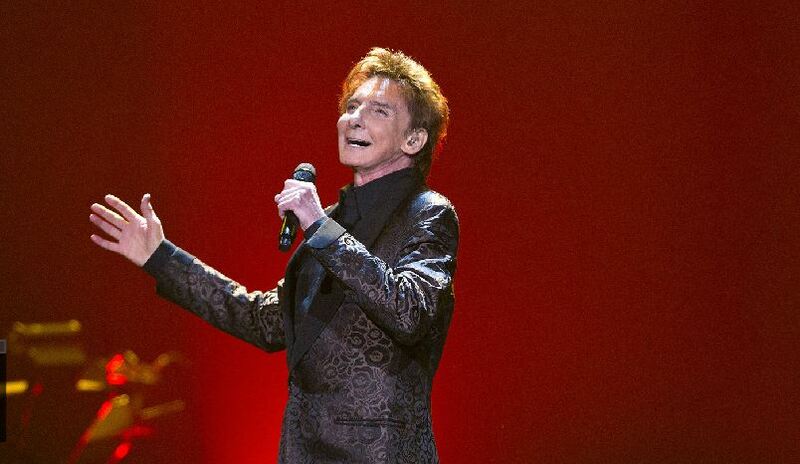 This entry was posted in barry manilow, centurylink center, concert, hits, music, omaha, world tour. Bookmark the permalink. What a wonderful review, Michelle. I'm so glad you had a wonderful time. How I wish I could've been there with you. Cherish those memories! Thanks for sharing! I'm happy you could be there! Thank you, Cynthia… I wish I could have brought the entire group with me. Thanks for sharing, Melissa! Wished I was there! Did he make any “leap year” comments or anything about the show being on Feb 29? I'm glad you had such a wonderful time, my dear. You've been through so much these past couple of years. A night with Barry is a great affirmation that good things and beautiful times are waiting. So very happy for you, Micks. my dear friend micky, thanks for sharing. i'm very happy you had a wonderful time. None that I can recall. But, it was a wonderful show!